"The Making of a Lady" re-aired December 2017. Follow a penniless woman’s path from pragmatic marriage to life-threatening peril. 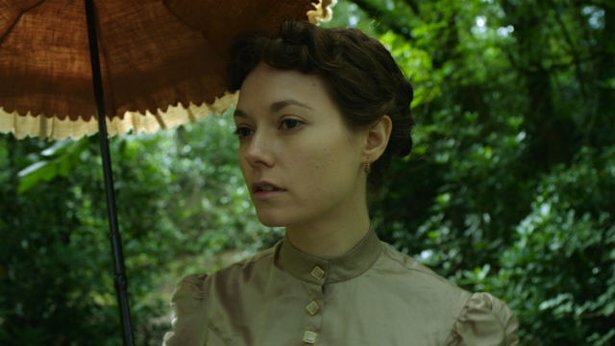 Based on the novel by celebrated writer Frances Hodgson Burnett ("The Secret Garden"), this is the story of the educated but penniless Emily (Lydia Wilson). During her duties as a lady’s companion for Lady Maria (Joanna Lumley), she meets her employer’s wealthy widower nephew, Lord James Walderhurst (Linus Roache). Accepting his practical if unromantic marriage proposal, Emily finds solace in the company of Walderhurst’s nephew Alec Osborn (James D’Arcy) and his glamorous wife, Hester (Hasina Haque), after Lord James leaves to rejoin his regiment. Emily, alone with the Osborns, increasingly comes under their control. She begins to fear for her life. "The Making of a Lady" was produced by Fremantle Media.